Client- Sunny Bhanushali owner of Aliens Tattoo, Mumbai. Brief- A composition to be painted on the wall outside the studio incorporating the logo, horns, and eyes as elements. 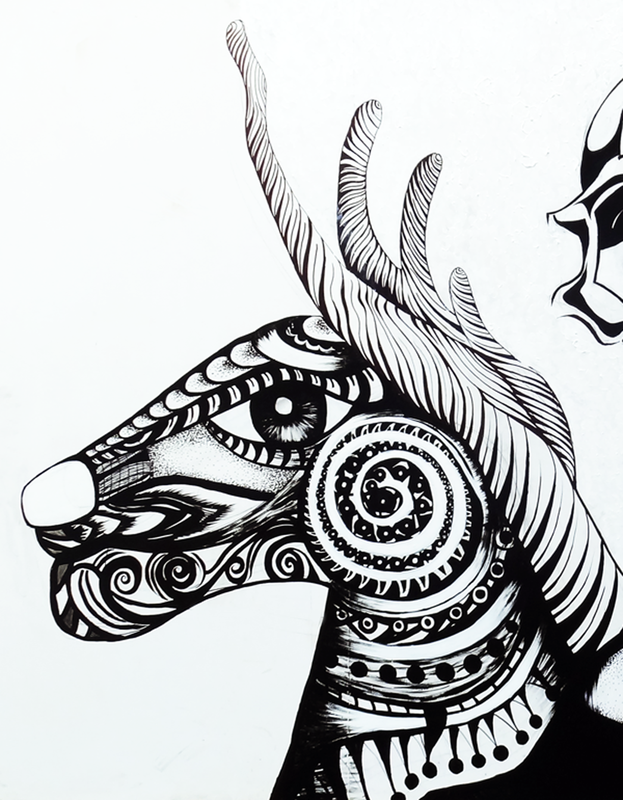 Composition- The stag was chosen as one of the elements because it symbolizes the beauty of form under the influence of freedom. This fits completely with reference to the space. The eagle was chosen as the other form because it symbolizes fearlessness, majesty, and freedom.he composition lays emphasis on the logo in the centre. The deer and the eagle on either side balance one another maintaining symmetry. The three eyes add an omniscient effect to the composition.